Established in 1978, Gulf Marketing Group (GMG) is one of the Middle East’s leading, family owned companies. Gulf Marketing Group operates regionally, across the GCC and boasts a diverse portfolio of brands, retail outlets and services. Gulf Marketing Group subsidiaries operate in key sectors such as retail and distribution of sporting goods and lifestyle brands, health and fitness, food and food processing, integrated 3PL logistics, real estate, healthcare and pharmacies, education and technology. With its extensive retail and distribution operations across the GCC it was critical for GMG to optimize its supply chain to be able to keep pace with the ever-increasing consumer demand for rapid delivery and mobile commerce. As part of its digital transformation roadmap GMG embarked on a journey to take its supply chain to the next level with the implementation of a modern, flexible warehouse management system for its newly built “mega distribution center” (MegaDC) in JAFZA, United Arab Emirates. With the objective to implement a state-of-the-art solution and maximize warehouse staff productivity GMG selected Clariba, a leading SAP GOLD Partner in the Middle East and Europe, to implement SAP Extended Warehouse Management (SAP EWM) to automate its inbound and outbound processes integrated with modular conveyor systems and “pick to light” technology. 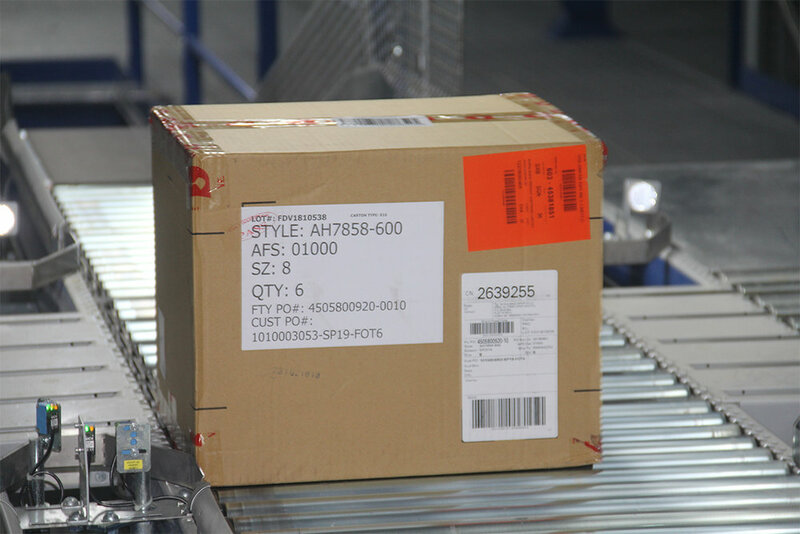 Optimize inventory tracking, cross-docking, flow-thru, distribution operations, multichannel fulfilment, and more – all in real time. End-to-end integration with its SAP IS Retail solution for automated processes. Executive Sponsorship: Sponsorship by the Deputy. Chairman and CEO of GMG to ensure short decision cycles throughout the project, align stakeholders and ultimately, support change management for rapid adoption of the solution. Business Engagement: Early engagement of the business teams in a rapid-prototyping approach throughout the blueprint phase to ensure solution fit, boost ownership from the start and avoid misunderstandings in later phases. One Team: Creation of a single team spirit with transparent, trusted and respectful communication, clear responsibilities yet fluid execution where everyone wins. Optimal Resourcing Mix: A blend of international SAP EWM experts from Clariba blended with local resources for the agile and cost-effective delivery of a mix of onshore and offshore activities. GMGs newly constructed multi-tiered distribution center aims to develop and consolidate warehouse operations using automated technology, boosting growth in GMG’s portfolio and providing a stronger base for its e-commerce business. The facility with an area of 40,000 m2, provides a total storage capacity of 21 million units and throughput of 400,000 items per day. It is equipped with the latest conveyor load system ensuring warehouse operations will be less time-consuming thanks to fully streamlined processes.